Why Is the Universe Made Only of Matter? It is a well-established fact that antimatter exists: Any charged particle has an antiparticle with opposite charge. For example, the positron is the anti-particle of the electron. Yet, anti-matter is very rare, there is much more matter in the universe than anti-matter. We only observe anti-matter in cosmic rays, radioactive decays, and nuclear processes. Given the fact that anti-matter seems to be an exact mirror image of matter, there is no apparent reason for the matter to dominate our universe. The explanation of the fact that anti-matter is so rare is an open question in physics. In this talk, we will discuss the puzzle and the progress that was done so far in solving it. While the exact mechanism that makes our universe dominated by matter is unknown, a lot of progress in addressing the question was made. 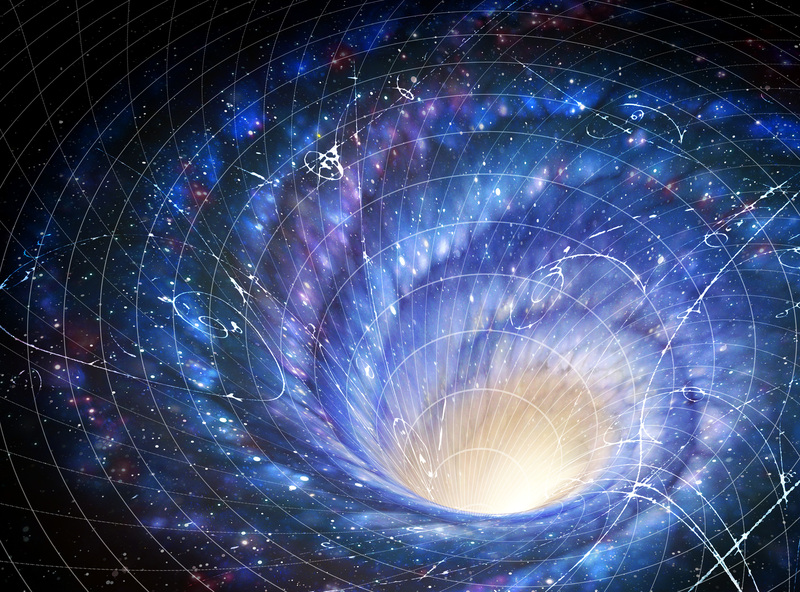 We know that it all occurs very early on, within the first second of the big bang. We will close the talk by reviewing some of the outstanding ideas that can be the solution to this long-standing puzzle. 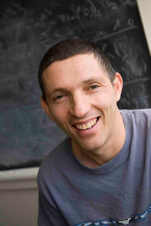 Yuval Grossman is currently a professor of physics at Cornell University. His research on theoretical physics concentrates on issues related to some of the most fundamental open questions in the field, like the mystery of anti-matter, neutrino physics, and dark matter. Yuval earned his ph.D.at the Weizmann Institute of science. President Larry Millstein called the 2,392nd meeting of the Society to order at 8:11 p.m. in the John Wesley Powell Auditorium of the Cosmos Club in Washington, D.C. He announced the order of business, that the evening’s lecture would be livestreamed on the internet, and welcomed new members to the Society. The minutes of the previous meeting and the lecture by Don Norman were approved without correction. When there are open questions in physics, it often means there are multiple possible solutions. As to baryogenesis, Grossman explained, there is a predominant theory – but there is one experimental result that the theory cannot reproduce. Matter is made of particles including baryons, leptons, and neutrinos. Scientists have determined that each of these particles has an anti-particle, of the same mass and opposite charge. But, Grossman asked, if anti-matter is a mirror image of matter, where is it? Grossman offered several potential answers, which scientists have disproven. The remaining theory is that matter and anti-matter are not exactly the same thing, and the matter was generated in the Big Bang. Grossman then explained current theories for where various elements were created. In sum, he explained that scientists have determined that matter was created within the first three minutes of the Big Bang, at a density of one proton per 5 cubic feet. Grossman the moved to how matter was created. The laws of conservation tell us that charges cannot be created or destroyed, and that when charged particles decay, they decay into other smaller particles. But scientists have not observed proton decay. To explain the lack of decay, scientists have invented a new conservation law called the “baryon number,” which keeps the proton stable. However, the baryon number implies that a proton cannot be created or destroyed without an anti-proton, which begs the question: how can we end in a universe made of protons? In 1967, Andrei Sakharov answered the question with 3 conditions. First, the baryon number is not conserved because there must be a way at high temperature to generate a baryon without an anti-baryon. Second, matter and anti-matter are not exact mirror images, otherwise the same amount of baryons and anti-baryons would have been generated at the Big Bang. And third, the process cannot be in equilibrium, otherwise, the same amount of baryons that are created are also destroyed. According to Grossman, the three Sakharov conditions all fit within the Standard Model. However, the Standard Model predicts one proton per Moon-volume, rather than one proton per 5 cubic feet. Because the Standard Model cannot explain the data, meaning there must be new particles with new interactions and bigger differences between matter and anti-matter than previously thought. These are the new open questions in physics. The Grand Unified Theory, Leptongenesis, and Supersymmetry are amongst the current competing theories. To check these theories, scientists may use proton decay, beta decays, and specific signals at colliders. Grossman concluded optimistically that we may have consensus on the new theory within his lifetime. A member asked how scientists knew matter was created within three minutes of the Big Bang. Grossman answered that what scientists really know is the temperature, which they have translated into minutes to more easily communicate their finding to the public. A member asked why so many anti-matter experiments compare only anti-hydrogen to hydrogen. Grossman said ideally scientists would use anti-deterium, but that they do not yet know how to create it. After the question and answer period, President Millstein thanked the speaker, made the usual housekeeping announcements, and invited guests to join the Society. At 9:31 p.m., President Millstein adjourned the 2,392nd meeting of the Society to the social hour.